Lawyers for relatives of nine anti-oil campaigners hanged in Nigeria in 1995 say they are thrilled that Royal Dutch Shell has agreed to pay compensation. The oil giant had been facing charges in the US of complicity in abuses under Nigeria's then military rulers. Shell denies any wrongdoing but said it welcomed the $15.5m (£9.7m) settlement as part of a process of reconciliation. Lawyers said the case showed that corporations were bound by the same human rights standards as individuals. "We litigated with Shell for 13 years and, at the end of the day, the plaintiffs are going to be compensated for the human rights violations they suffered," said Paul Hoffman, a lawyer for the Nigerian families. What next for the Niger Delta? The case had been due to go to trial in the US next week, but Mr Hoffman said that even if his team had won the case, they would still have faced "years of appeals". Judith Chomsky, of the US-based Centre for Constitutional Rights (CCR) and one of the lawyers who initiated the lawsuit 13 years ago, said she was "thrilled" with the outcome. She said it sent a message that "corporations, like individuals, must abide by internationally-recognised human rights standards". Prominent author Ken Saro-Wiwa and eight other members of the Ogoni ethnic group from the Niger Delta were executed after being convicted by a military tribunal over the 1994 murder of four local leaders. They had been campaigning for the rights of local people and protesting at pollution caused by the oil industry. Their deaths sparked a storm of international protest. The lawsuit was brought under a 1789 law which allows US courts to hear human rights cases brought by foreign nationals over actions that take place abroad. It alleged that Shell officials helped to supply Nigerian police with weapons during the 1990s, participated in security sweeps in parts of Ogoniland and hired government troops that shot at villagers who protested against a pipeline. 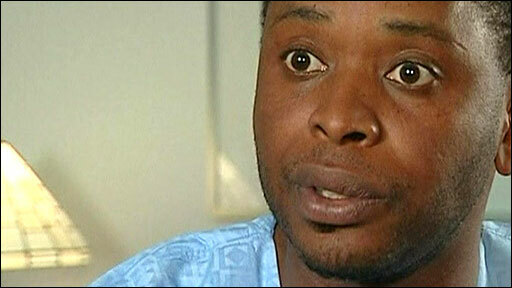 It also alleged that Shell helped the government capture and hang Mr Saro-Wiwa and several of his colleagues. Shell has not accepted any liability over the allegations against it and said the pay-out was a "humanitarian gesture". 1994 Conflicts flare between local communities, military sent to restore order. Mosop say conflicts being fuelled by government as a 'divide and rule' tactic. 2008 Government announces Shell will be removed as an operator in Ogoniland. Fresh start for Nigerian oil activists? Speaking after the settlement was announced, Shell official Malcolm Brinded said it "acknowledges that, even though Shell had no part in the violence that took place, the plaintiffs and others have suffered". "While we were prepared to go to court to clear our name, we believe the right way forward is to focus on the future for Ogoni people, which is important for peace and stability in the region," he said. "It is our hope that we can continue to contribute to this rebuilding process and look forward to the eventual normalisation of relationships with the Ogoni people." But Ledum Mitee, president of the Movement for the Survival of the Ogoni People (Mosop) said the settlement was not enough and more was needed to address the injustices. "If you remember that about 2,000 Ogonis lost their lives in those days of the military repression, and the environment was severely damaged, then you'll know that $15.5m is quite insignificant for that," he told the BBC's Focus on Africa programme. Mosop spokesman Bariara Kpalap added that Shell has to "change its attitude towards the people". "Shell should treat us as civilised human beings and not those to be exploited because of our oil," he said. 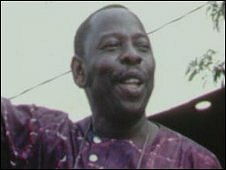 Ken Wiwa, 40, son of Mr Saro-Wiwa, said his father would have been happy with the result. "It will provide some kind of psychological relief and release to have those who they feel were responsible for the violations of human rights, being held accountable, or being made to account for their roles in those human rights violations," he said. Mr Hoffman said $5m of the payment would go into a trust to benefit the people of Ogoniland. The rest would go to the plaintiffs and to pay the costs of litigation.